This week, West Virginia joined the ever-growing list of states with a lofty postsecondary completion goal. West Virginia leaders want 60 percent of adults to hold a postsecondary degree or certificate by 2030. Only 34.7 percent of West Virginia’s adults hold a college degree or certificate, according to a February report from the Lumina Foundation, an Indianapolis-based think tank. That ranked lowest in the nation. By comparison, 40.6 percent of Idaho adults hold a degree or certificate, ranking No. 45 in the nation. Idaho also has its own version of a 60 percent goal — focused on 25- to 34-year-olds, with a 2025 target. More reading: Click here for “Life After High School,” Idaho Education News’ award-winning series on the state’s struggles to meet its 60 percent goal. 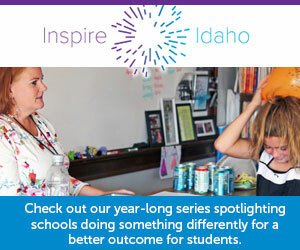 Idaho Education News will publish a followup series in November.